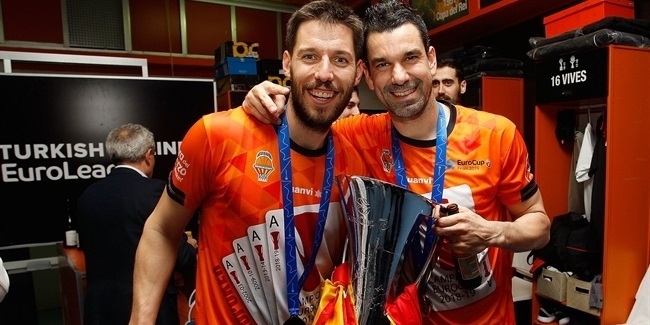 As they attempt to recover from the disappointment of failing to become 7DAYS EuroCup champions in Berlin on Friday night, Valencia’s players and coaches should be able to find plenty of room for optimism. 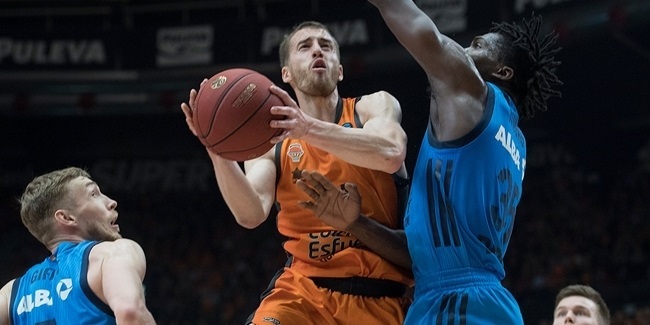 Ahead of the third and final meeting with ALBA in this season’s title decider on Monday night, Valencia can look back on the Game 2 road loss and take plenty of positives from the game despite the outcome. Essentially, the Spanish team came so, so close to winning: if Fernando San Emeterio had made both free throws with 11 seconds remaining rather than splitting them, or if the defense had found a way of stopping Peyton Siva with 2 seconds on the clock, overtime would have been averted and the trophy would already be back in Valencia. In short, even in the hostile territory of a packed and raucous Mercedes-Benz Arena against a hugely motivated opponent, Valencia nearly won. And back on its own home floor, a similar performance would very probably be enough to take the title on Monday night. Looking at specifics, the biggest plus for Valencia on Friday was its three-point shooting. 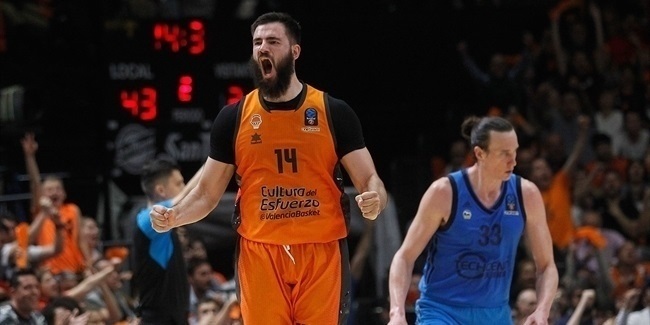 There was no secret before the game that ALBA was focussing on turning around the rebounding battle, which had been totally dominated by Valencia in Game 1. The German side succeeded in that aim, but the price it paid was allowing Valencia more room on the perimeter, and that was punished with an impressive total of 14-of-30 (46.7%) from beyond the arc, including 6-of-8 from Sam Van Rossom. That was no fluke. Valencia are one of the most potent long-range shooting teams on the continent, with no less than nine players boasting a conversion rate of 40% or more over the course of the season. Such a varied attack from deep gives ALBA a considerable headache ahead of Game 3: does the German team attempt to once again control the rebounding battle, or focus on limiting Valencia’s long-range shooting? Doing both will be almost impossible; it’s a case of pick your poison. For Valencia, its dual ability to dominate the boards and score from distance could prove to be a title-winning combination.